You will be very impressed with these Amazing DIY Projects & Tutorials that were linked up this week to our Inspire Me Monday Linky Party. It was very hard to choose what to showcase for this week’s Feature Friday because the talent that was linked up was pretty mind blowing. 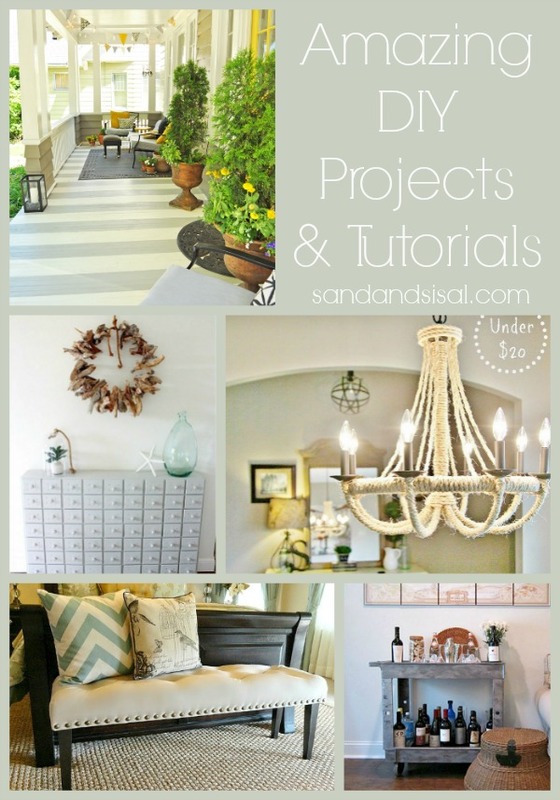 I narrowed it down to 5 tutorials that I know you will love. Thanks for featuring my bar cart! I love all the features you chose, especially that rope chandelier! Thanks so much for the love, Kim! Hope you have a great week!